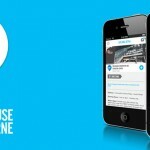 As part of a sponsorship for Open House Melbourne 2013, distriqt developed an iPhone and Android mobile app to support the event. As we are partly based in Melbourne, this was a great opportunity to show our support and love for the city, and help give this great not-for-profit event a new way to reach over 100,000 of the public who will attend this year. The app features a full list of over 100 buildings which are open for tours, an interactive map, a personal itinerary plus social integration with Twitter and Instagram and more. We'd like to thank Cornwell (http://cornwell.com.au) for the visual design, and efront (http://efront.com.au) for their support. If you're in Melbourne on July 27-28, grab the app or a printed program and check out some of the great buildings and architecture in Melbourne.